The BBC series is in the running for Best Drama. The nominations for the 2018 RTS Northern Ireland have been announced, and Come Home is up for the Best Drama award! 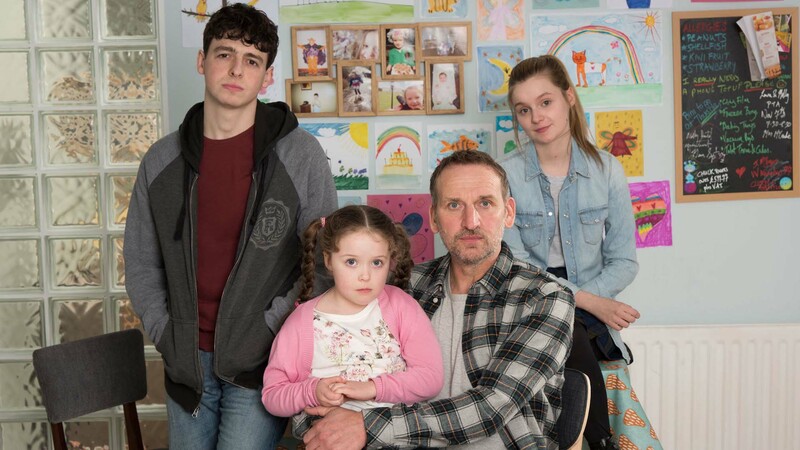 Come Home, shot in Belfast, stars Christopher Eccleston and Paula Malcomson as married couple Greg and Marie. When Marie walks out on Greg and their children after nineteen years of marriage, lives are changed and loyalties are divided. The show was created and written by Danny Brocklehurst. The winners will be announced during an awards ceremony in Belfast on Thursday 15th November, and you can probably guess who we’re pulling for. Well done and good luck to everyone involved with Come Home! Click here to see the full list of nominations. Safe and Come Home have received four nominations between them. Christopher Eccleston and Paula Malcomson to star.